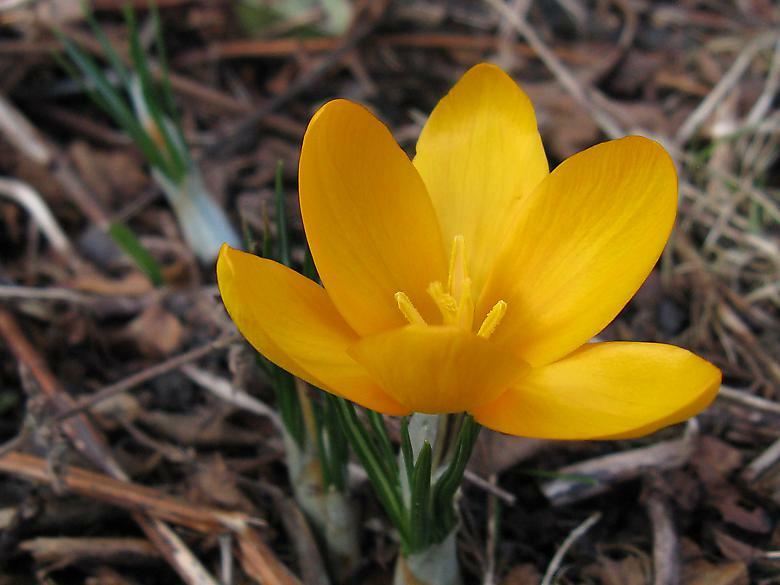 Today was the first crocus flower. As this was a newly planted one, it is not directly comparable to last year. Last year the yellow crocuses in the container flowered on 2nd March and this year they are not quite out yet, but will be by tomorrow. So really only a week behind which matches fairly well with the duration of the recent cold spell. Update: on reflection the day of the first crocus is not very meaningful as they open and close depending on the weather. So it is difficult to pin the exact when it opens and anyway it is affected by the immediate weather.